A developer doesn't need to be well-known to be successful. That was proven when PocketGamer.biz interviewed then-Timuz Managing Director Ahmed Mohammed at NASSCOM Game Developer Conference 2016. With little fanfare, the Hyderabad-based studio had grown from four people to nearly 100 staffers across four offices, Mohammed explained, releasing games in volume to a global audience. But now he has left his job at Timuz to start afresh with new studio BigCode Games. “We started Timuz in 2010,” reflects Mohammed. “It was doing well in terms of downloads in India, but I thought it was time to move on with a new direction. BigCode can embark on this mission well-equipped, already boasting a team of 40 thanks to Mohammed's acquisition of Timuz's former Pune and Bangalore studios. 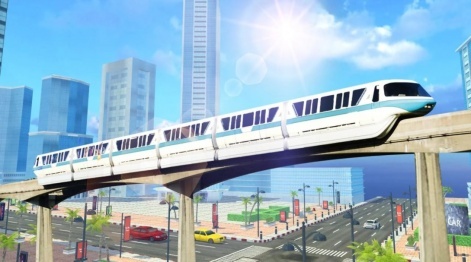 The new studio also intends to continue Timuz's momentum with its first release, which is a spiritual successor to its biggest hit Train Simulator 2016. That title was the fourth most downloaded mobile game across the whole of India in Q2 2016, but also enjoyed success elsewhere with around four to five million downloads outside of India as of November 2016. 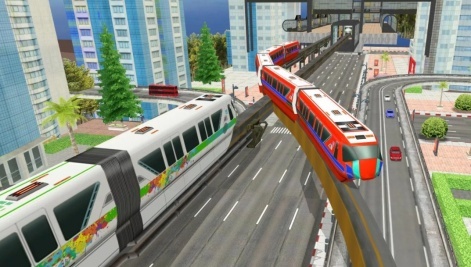 BigCode's follow-up is called Monorail Simulator 3D. Targeting Europe, it's the first example of the studio's new vision. “Monetisation is completely different here,” explains Mohammed, who says there is more of a focus on video ads over the interstitials favoured by Timuz and a greater emphasis on in-app purchases. “IAP is stronger and more profitable,” he states. And after Monorail Simulator 3D these titles will take the form of strategy games and, interestingly, superhero-themed titles using BigCode's own original IP. If it's not necessary, people will not pay in India. Another focus for the studio is educational games for universities and schools, which BigCode is currently in the process of discussing with the government. Providing a real-world utility to gaming, Mohammed believes, will be enough to shake the ingrained resistance to paying for digital content in India. Another potential benefit of such games is to shine more light on the good games can do, as well as the talent in the Indian games industry. Mohammed points to “insufficient revenues for training and development, and inadequate funding for project completion” as major issues in India's games industry today, and something BigCode is keen to address. To this end, BigCode will be holding a country-wide mobile games competition for individuals and small indie teams in the next month, with a prize fund of approximately $50,000. Whether or not this new company can fulfil all of its lofty aims remains to be seen, but it is built upon a significant chunk of an already-successful firm in Timuz and the experience of its CEO. BigCode Games sees Mohammed shifting his focus from India to Europe, from interstitial ads to IAPs - and he'll be hoping that revenues rise accordingly.